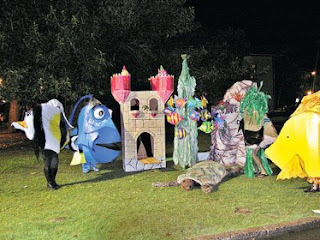 WAILUKU » Maui's big Halloween blast in Lahaina might shrink this year now that authorities have voted to ban many of its activities. The Maui County Cultural Resources Commission denied permits this week for a costume contest, outdoor entertainment stages and craft, food and activity booths. The commission concluded that the annual party does nothing to promote the town's rich Hawaiian cultural history. It voted 6-0 against authorizing party permits in Lahaina, which is designated as a state and national historic district. Here again we see how some people ruin Halloween for everyone.